End of Financial Year must be run so that transactions can be entered into a new financial year. It is imperative that the End of Financial Year is run at the same time as the End of Period for the last period of the financial year. Reconciled your BAS payments for the year to date with what you have paid the ATO? 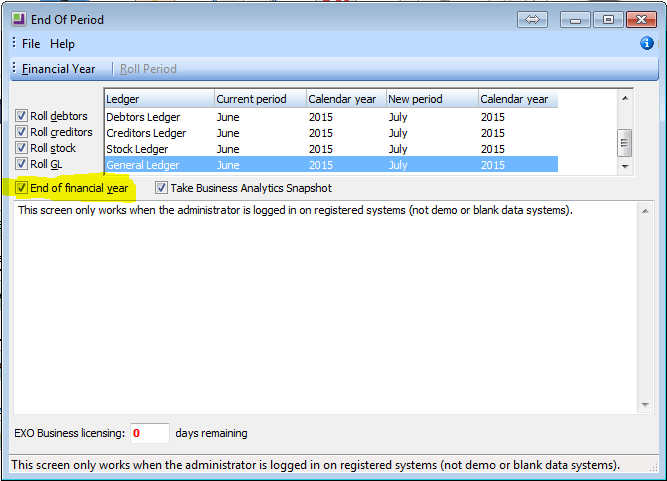 Reconciled both Debtors and Creditors to the General Ledger? Are you ready for Stocktake? 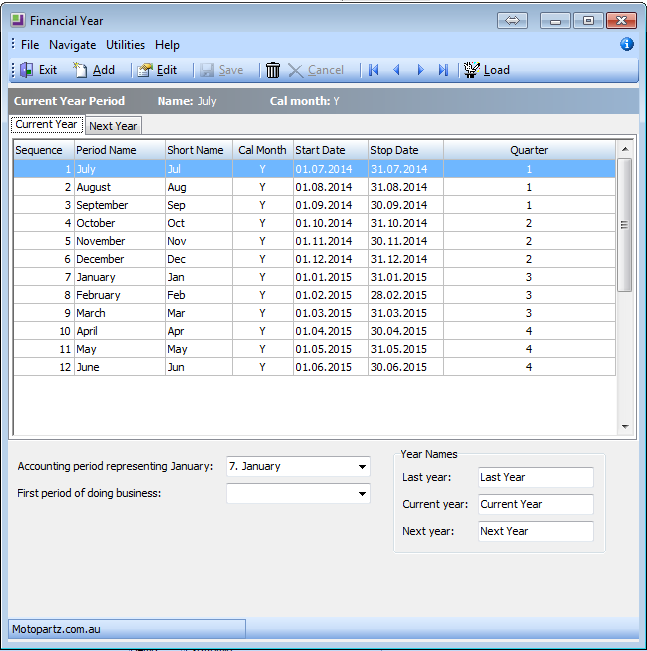 Printed a Trial Balance – does it balance? 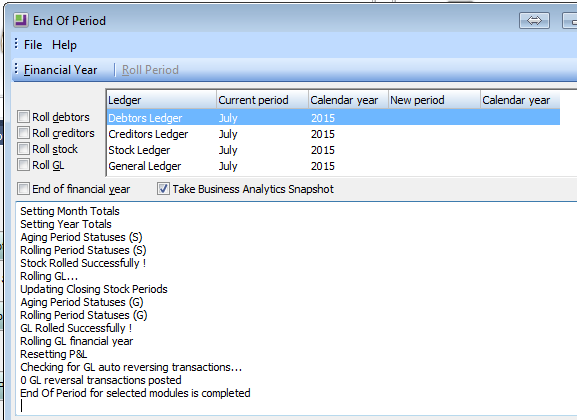 Printed a Profit & Loss / Balance Sheet – does it balance? Reconciled your Superannuation Clearing Account? Reconciled your PAYG Clearing Account? Reconciled your Suspense Account – it should be Zero! If you are unsure of any of the above, please contact us for further information. It is NOT recommended nor necessary to click on the “Financial Year” control. 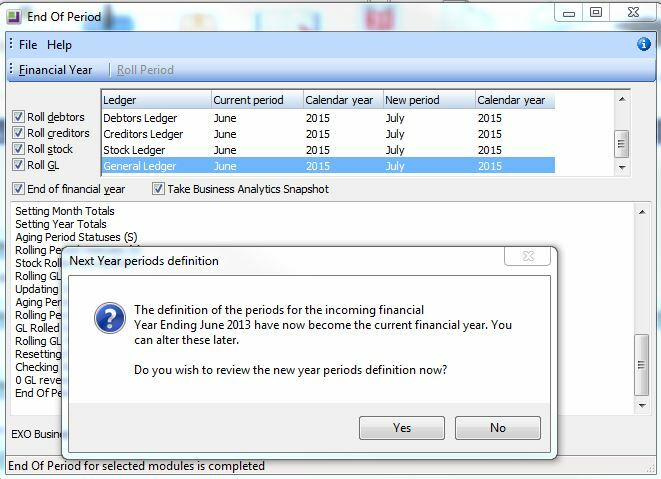 This function is used only when some specific change to the calendar is needed, like a change from Financial Year (Jul-Jun) to Calender Year (Jan-Dec). If you believe a change IS required, contact Acacia Consulting to discuss. When the following message appears select NO unless you would like to review this screen, however there will be no changes required as MYOB EXO will automatically set this up for you. Remember this screen is just for review, no changes should be made. Do NOT use the “Load” control. If changes need to be made, discuss with Acacia Consulting first. Once the “roll” has completed, you will be presented with a screen that looks like the below. Depending on the size of your database, the process may take a few minutes. If the roll is taking a very long time (more than an hour), please contact Acacia. • Moves year to date totals into last year. 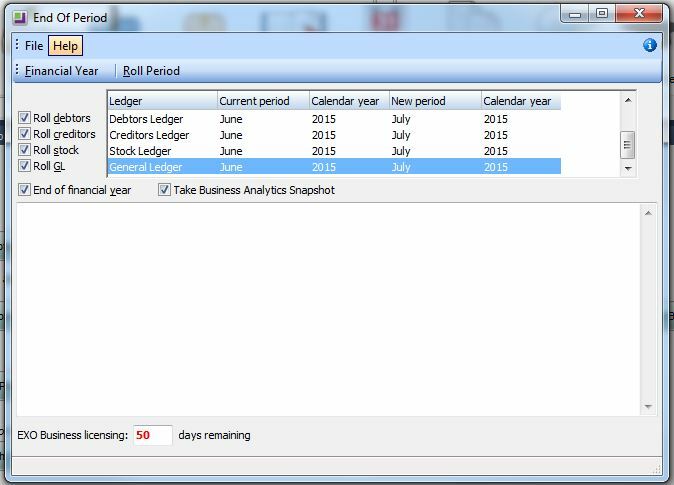 • Resets the year to date totals to zero. 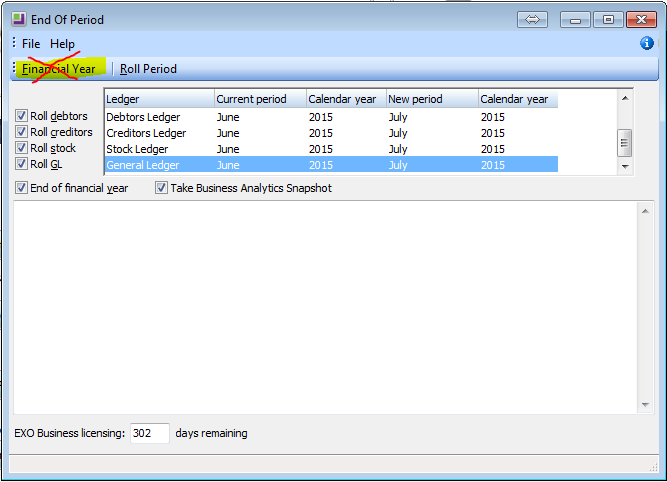 retained earnings account as defined in the GL Control account screen. Once this has been completed successfully you will be ready to begin entering transactions into the new financial year.